Why Does HGTV Play the Same Shows Over & Over? 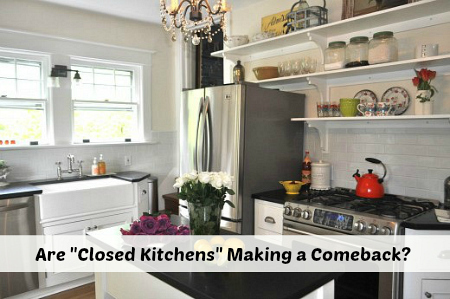 Based on the comments, a lot of you are tired of open kitchens! It was the craziest thing. I woke up one morning last week to find that a post I wrote about the real Home Alone house back in 2011 had gone viral on Facebook. Blog insanity ensued. I’m Heading to the Haven Conference in Atlanta! Thank you for posting this! I haven’t been a good reader this past year and this was a great way to catch up. 🙂 I’ll be better in 2015. Happy New Year! Happy New Year! And thank you so much for your blog – I love being able to look around inside other people’s houses, and this way I can do it without being arrested!! Happy New Year and thank you for all of your posts in 2014! 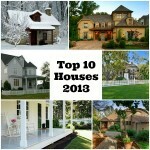 I enjoy reading your blog and seeing all of the many homes that you post. It’s a great way to get ideas. I think I remember all these except one or two. Will definitely revisit some of them. Merry Christmas and Happy 2015 to you, too, Dean! Happy New Year Julia and please know that you are much appreciated in our household. 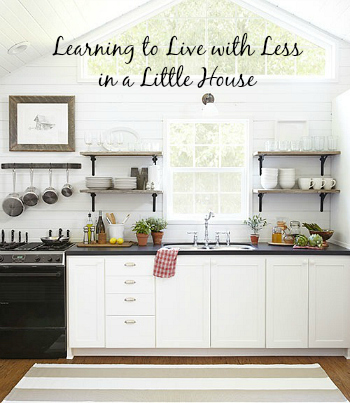 We are of the small house, closed kitchen mind set…nice to know that there are others. Your blog is the first one I look at every day! Thank you for the beauty you bring us all year long! Happy New Years and all the Best in 2015!! Thanks, Karena! Always nice to hear from you! Ha! I remember the great “closed kitchen” debate. 🙂 Thanks for another year of great houses! Thanks for being a devoted reader, AndyZ. Happy New Year! Happy New Year, Julia! Thank you so much for compiling such awesome collections of house candy!!! Thanks for sticking with me and my blog all these years, Julie. Happy ’15! Happy New year! I have a lot of blogs in my reader, so sometimes I skip posts so as not to feel overwhelmed, but I always make time for your posts. My husbands company did work for Rehab Addict (the Akron Ohio Lebron James Project that recently aired) and he donated a few days of his own time for the show. It is all phony as can be. She is rude, and does zero manual work like they imply. The men get everything prepared, then she comes in and does the end shot. These poor guys literally worked around the clock for a week. She was not on site for the majority, then would come in and make some decorative change that would require them to undo everything. I love shows like these, but it is so different watching them after hearing from someone who has participated. Interesting! I hear a lot of behind-the-scenes stories from other shows, but yours is the first I’ve gotten about this one. Thanks, Sarah. 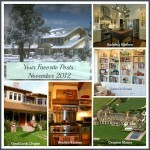 I think my favorite has to be the closed kitchen post, since I’m a fan, but they’re all great. Today I watched a movie with a great house, “Daughter’s Courageous” (1939) starring John Garfield, Priscilla Lane, and Claude Rains. It was really good. Another movie with a neat bedroom in it is “Curse on the Cat People” (1944). The movie itself was ok, not as good as the first movie “Cat People” (1942). Thanks for all the work you’ve put into your movie houses! I love looking at them! Yep, that’s what was going on. I couldn’t publish any of my planned Christmas-week posts because I could barely get to the “back end” of my blog at all, let alone work on it for over a week. Crazy. My husband says to go ahead and publish them in January, but I’m guessing everyone has had their fill of the holidays by now. Ha. Maybe I’ll save them for next year! No, I haven’t seen that. Thanks, Ewa! Thanks for the look back. I didn’t find your site until late in the year so I am enjoying the look back. I just found your site a couple months ago, and I’m hooked. The moment I see a house on TV I love, I check to see if it’s here. I even paused House of Cards, a gripping show to me, to take a look (I love the Underwood home). Thanks for one of my most favorite sites to get lost in. I look forward to everything in 2015!